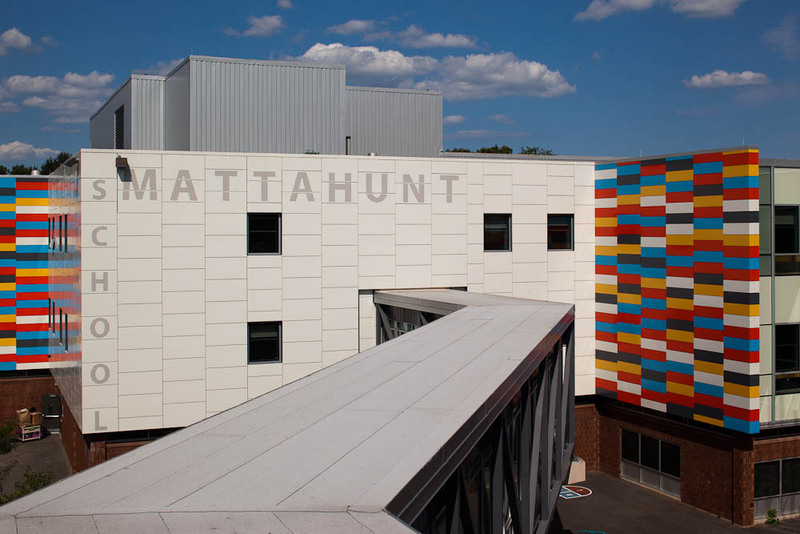 The Mattahunt Elementary School project in Mattapan, MA was recently featured in both High Profile Magazine and Metal Architecture. The project features a system of Dri-Design panels, which replaced an existing system that had deteriorated. The playful curtain wall composition and a new color scheme for the interiors enhance the environment for learning. The project has also led to a 30% reduction in energy needed for heating and cooling.